Tools of the cosmetics trade—from brushes to spatulas—are becoming much more fanciful. Fenty’s Gloss Bomb Universal Lip Luminizer emphasizes its XXL applicator. Kat Von D Beauty Powder Brow Brush #75 features a unique combed design that actually deposits and blends the powder as it grooms brow hair. 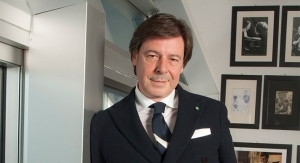 To optimize the application of Dior’s best-selling spray foundation Dior Backstage Airflash, Peter Phillips, creative and image director for Dior Makeup, designed a new tool. Pennelli Faro’s Origami Infinito brush is made of Dermocura fiber. It has a double ergonomic hollow and a narrow side combined with a wide surface. Anisa International’s Skin Care Collection is compatible with a variety of product formulations for both day and night skincare routines and made of 100% synthetic fibers. Responding to a trend for “all-in-one” make-up results, HCP-SIMP recently developed the “Full Effect” plastic mascara brush with a bristle architecture that gives a multi-effect result. Grande Cosmetics’ latest lip formulation is applied with a unique cushion applicator. Taiki’s Beauty Sponge is made from a foaming process that creates more consistency and provides a soft feel that doesn’t pull on the skin. 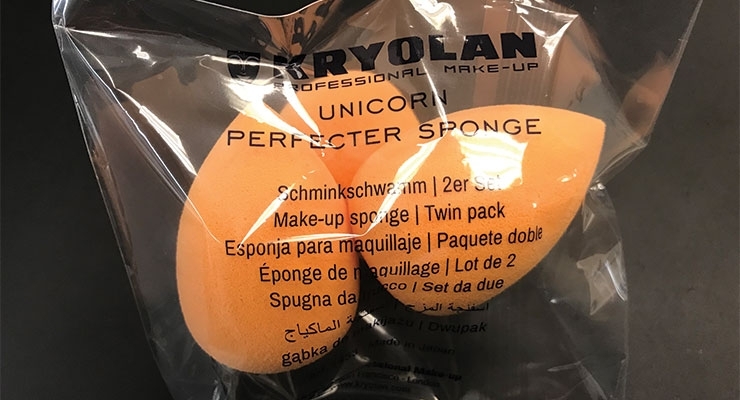 Recently, The Penthouse Group launched the ‘Unicorn Perfecter 3D Blender Sponge’ with Kryolan Professional Make-up. Scentbird’s new lip balms feature metal applicator tips in Zamac for a cooling effect and a luxe feel on lips. HCT Group, which has a patent on the metal tip, produced the packaging. 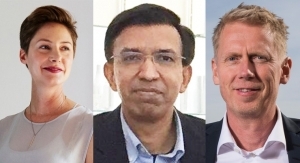 HCT Group’s new Unreal Series features a filament “that was developed, as many brands are looking for a higher quality and more effective synthetic filament that actually works,” explains Cat Kong, VP of brush sales, HCT Group. 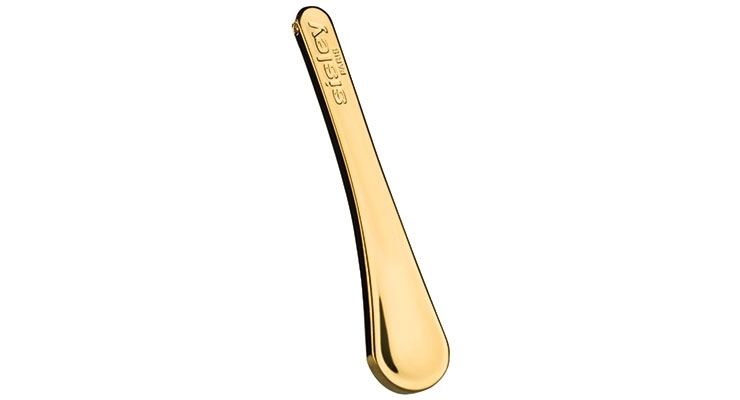 TNT Global Manufacturing produced a tailor-made, stainless steel premium spatula for Sisley. Amkiri’s first-ever ‘visual fragrance’ is applied to the skin via proprietarily developed beauty applicators—for body art infused with fragrance. 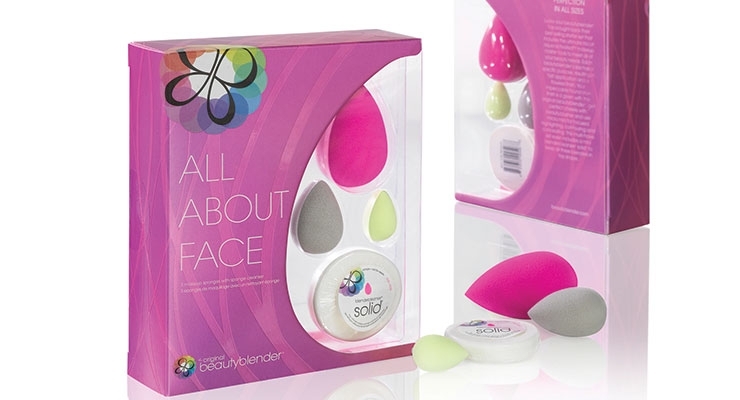 All About Face Beautyblender is a new makeup tool kit from Rea-Deeming Beauty Inc. 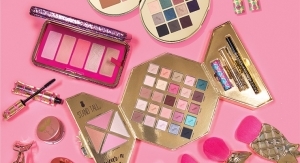 According to Mintel’s Beauty and Personal Care analyst, Alison Gaither, consumer engagement in color cosmetics and cosmetic applicators is evolving as a result of the effect social media influencers and beauty bloggers have on the beauty looks consumers want to create. 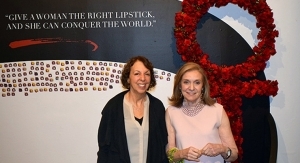 Gaither tells Beauty Packaging: “Today’s consumers can learn more about makeup brushes and sponges by simply watching a YouTube video or blog post.” She says Mintel data shows that more than half of younger consumers aged 18-22 use one of these resources to learn about beauty looks. 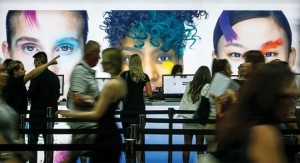 “As consumers attempt to create more complex looks, brands are creating tools that allow for easier application, such as eyeshadow shields that prevent shadow fallout,” says Gaither, adding that consumers are also now able to buy high-quality tools at lower price points, making this category more accessible than before. While applicators are primarily functional, there is a style and aesthetic element to this category as well. Mintel data shows that 31% of women choose a makeup applicator based on the way it feels, while 16% choose an applicator based on the color or design. 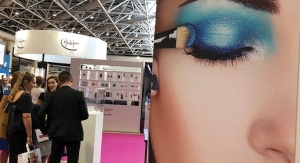 Brands are capitalizing on consumer interest of the sensorial aspects of brushes by showcasing the qualities of different bristle types, says Gaither. In addition, Gaither says “Shelfies,” in which consumers post pictures of how beauty products are displayed in their home, are growing in popularity and may persuade consumers to choose brushes based on how beautifully they photograph. 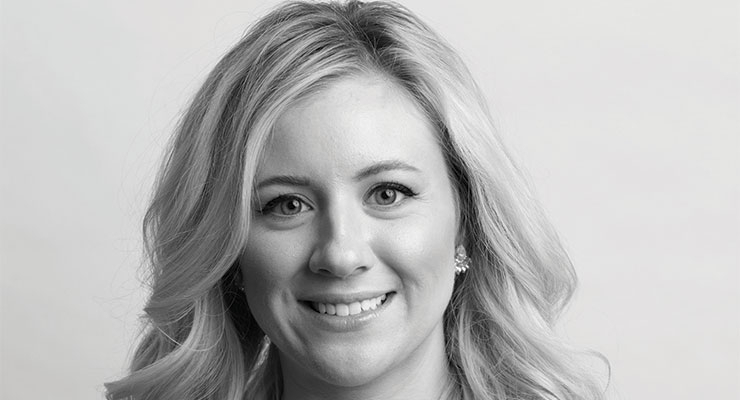 Stefanie Gunz, marketing manager, Geka, also notes social media’s influence on applicators. Time gets tight and the application has to be on point without being very time-consuming, says Gunz. 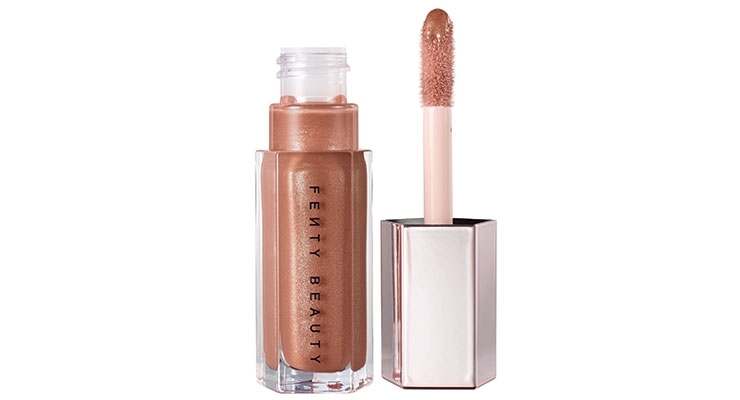 Fenty Beauty, from superstar Rihanna (nee: Robyn Rihanna Fenty), has been a runaway success since its launch late last year. 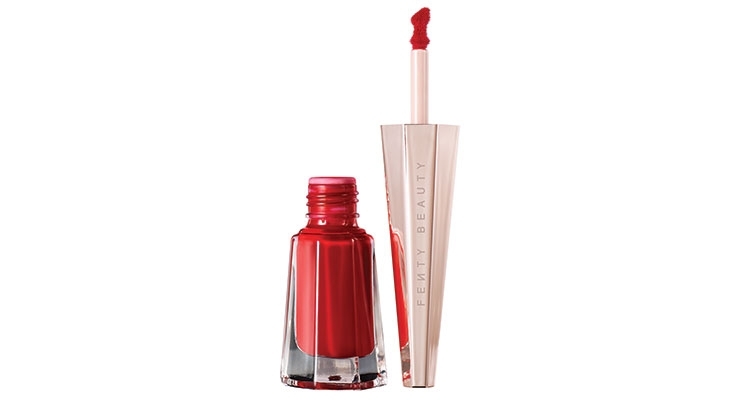 With the tagline Beauty for All, and the line’s multitudinous shades designed for any skin tone, applicators play a key role in product and usage success—in some cases, touting a trendy “one-swipe approach.” Suggestions for the correct tool are often highlighted in the product description on sites such as Sephora. The brand says Stunna’s doe-foot applicator makes application ultra-precise. Further, the product description reads: “Equal parts class and sass, Stunna Lip Paint goes from zero to 100 in one stroke of its lip-defining precision wand, making it easier than ever to dress your entire pout in show-stopping, soft matte pigment. 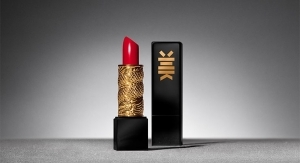 Its serious 12-hour hold is so weightless and dries down to the perfect shade.” “I wanted a lipstick that wouldn’t budge—even as you eat, even as you make out,” said Rihanna. Fenty’s Gloss Bomb Universal Lip Luminizer also emphasizes its applicator. The promo reads: “With one luscious swipe of Gloss Bomb’s XXL wand, its conditioning shea butter-enriched formula makes lips look instantly fuller and smoother.” Fenty Beauty offers a full complement of applicators for a number of SKUs in the line and makes recommendations for which will work best with each product for optimum results. A consumer’s recognition of a specific brush speaks volumes to other consumers, especially in acknowledging the brand’s—and supplier’s efforts. With our experts’ thoughts and brand examples in mind, we surveyed a number of beauty industry suppliers to gain an even better understanding of what brands are requesting from their valuable partners in the product development process. 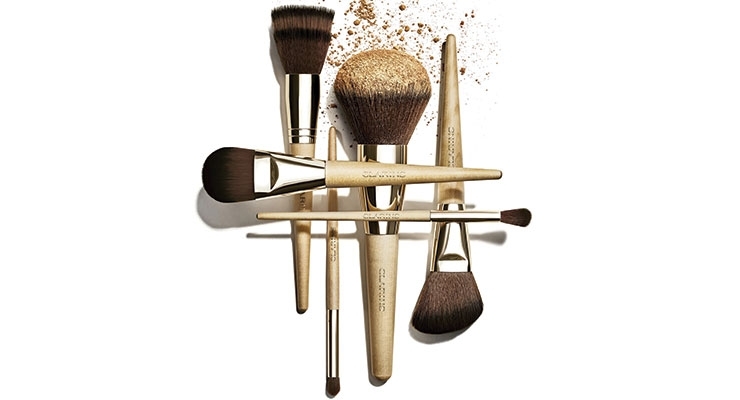 Taking into consideration the trend toward synthetic fibers and environmentally responsible materials, Cosmogen recently designed a set of 8 elegant brushes for Clarins. 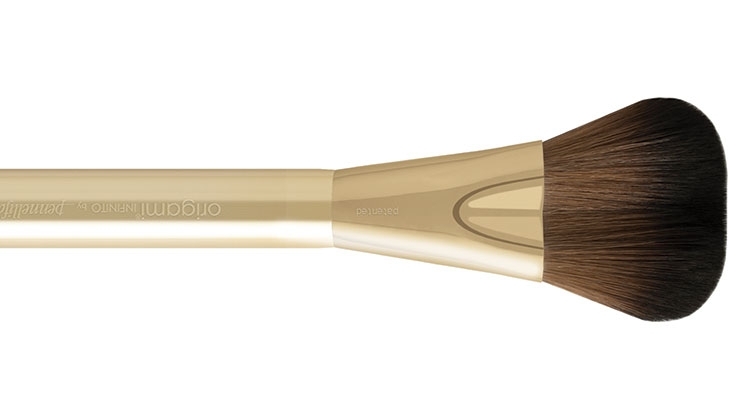 The brushes feature natural FSC wood handles that are gold hot-stamped, and enhanced with a shiny, aluminum, gold-colored ferrule. Tools are available for Powder, Foundation, Multi-use Foundation, Blush, Blending Blush, Eyeshadow, Lip and Eyeliner. 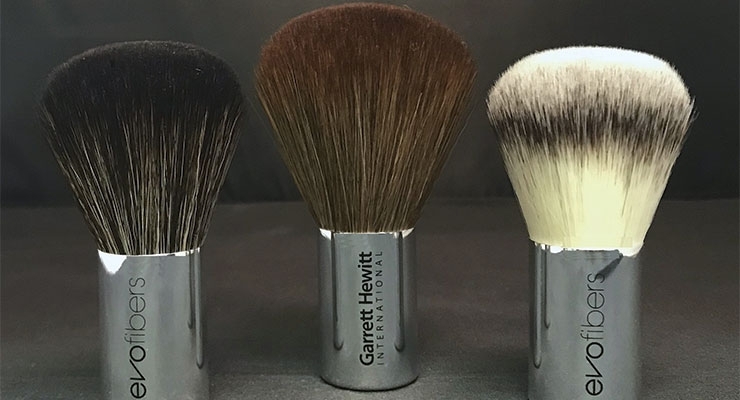 Garrett Hewitt International (GHI) has been making cosmetic brushes for the U.S. and Europe market for 54 years. Jason Clerke, president, says the main trend they are seeing is the move toward synthetic fibers from natural fibers. 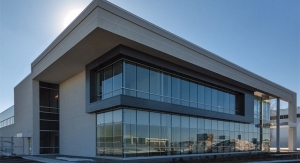 Clerke says in the last five years they have become specialists in the synthetic brush business and have established a synthetic fiber manufacturing facility within their factory. “Not only does this give us a price advantage, but more importantly, we are able to customize our fibers to our customer’s exact needs,” he explains. 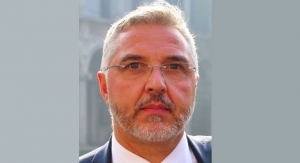 He says their exclusive range of EVOfibers can be customized by fiber diameter, softness, shape or additives and can also can be blended together to create a fiber designed for a very specific purpose or formula. “Our customers are looking for new and innovative brush designs and fibers that are very specific not just to their purpose, but also to their unique formulations,” adds Clerke. 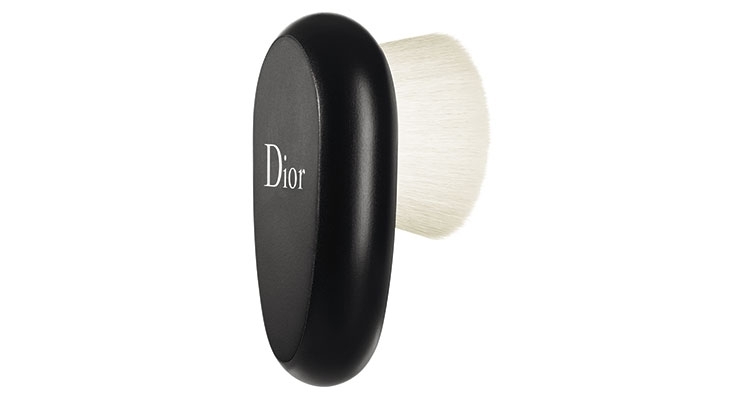 To optimize the application of Dior’s best-selling spray foundation Dior Backstage Airflash, Peter Phillips, creative and image director for Dior Makeup, designed a new tool—Dior Backstage Buffing Brush—that combines the smoothing power of a brush with the blendability of a sponge for a “truly superior application.” The unique ergonomic shape allows for maximum control, while lush, dense bristles leave skin with an even, airbrushed finish in a single sweep. To use, spray Airflash foundation onto the brush and work from the center of the face outwards using small, circular movements. For additional coverage, dab the bristles across needed areas for more intensity. Pennelli Faro’s Origami Infinito brush is made of Dermocura fiber. 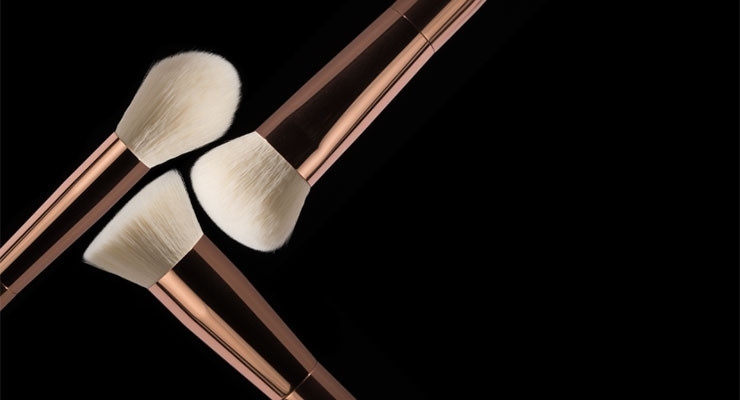 It has a double ergonomic hollow and a narrow side combined with a wide surface: The heart of the brush head has been lightened to ease the gesture of applying blush while keeping the powder efficacy. Anisa International specializes in prestige applicators “with the cosmetic brush as our hero,” says Anisa Telwar Kaicker, founder and CEO of Anisa International. 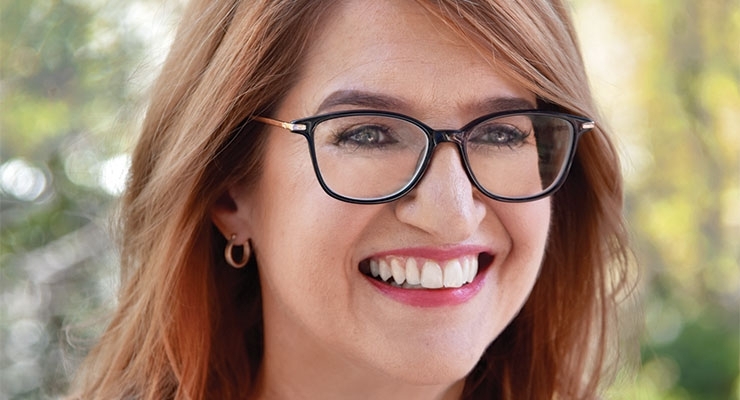 “With a strong focus on fiber innovation, our tools are specifically designed to match the advanced formulas that are currently on the market in both color and skincare categories,” she says. Telwar Kaicker says self-care is a trend that continues to grow, “and within the beauty space we attribute this in many ways—for us, it’s skincare.” She says their research shows that the skincare market boasts attraction from women of all ages, starting as young as teenagers. Beauty aficionados never seem to have enough mascara products, keeping the product one of the most popular in the cosmetics category. Brands introduce new options on a continual basis, always hoping to attract attention with improved features for lengthening and boosting. This keeps suppliers on a constant development course. HCP offers complete beauty solutions for mascara, including full pack manufacturing in China, the U.S., Mexico and Germany, with the design and manufacture of twisted-wire brushes in Hinsdale, New Hampshire, and precision-molded plastic brushes by SIMP in France. Responding to a trend for “all-in-one” make-up results, HCP-SIMP recently developed the “Full Effect” plastic mascara brush with a bristle architecture that gives a multi-effect result—brushing the lash fringe and giving ultra-volume from root to tip. “The alternating short and longer rows give lashes extreme length and definition,” says Kurek. 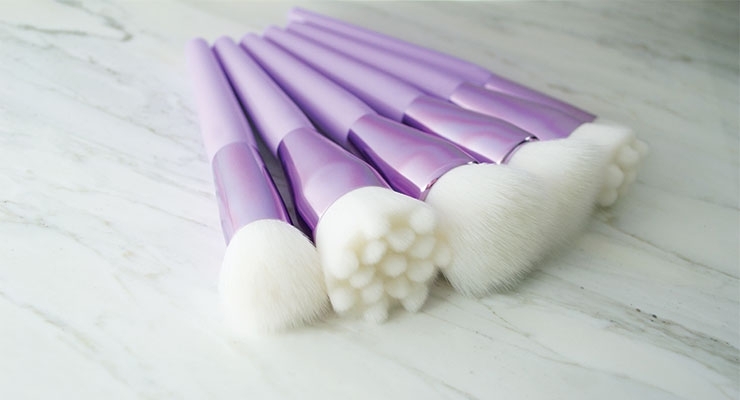 Gunz tells Beauty Packaging: “We have just developed our new star within our portfolio of molded brushes” – the two-component brush lashDIVINE. It is produced with Geka`s 2K Sandwich technology that results in a stable brush core with extremely soft bristles that do not catch on the eyelid. Thus, the brush becomes firm and provides great control for an exact application result. 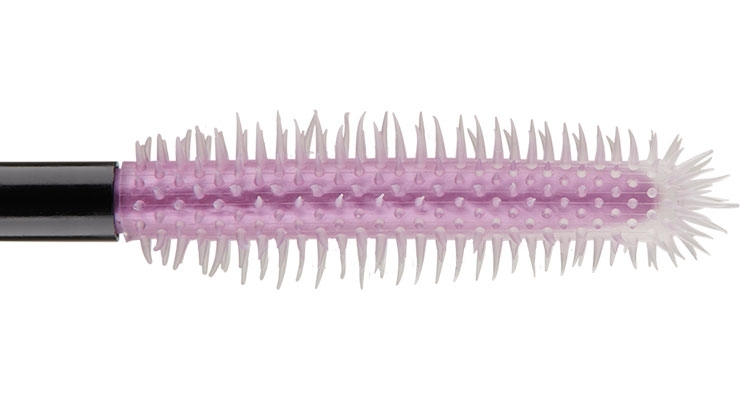 With alternate rows of shorter and longer bristles, Gunz says this brush is conceptualized for extreme volume and its conical shaped bristles avoid any clumping. The special tip design with bristles on the brush top gives lashes an extra push and is ideal to rework upper lashes, to accentuate lashes on the lower lid and “work magic” on the tiny lashes in the eye corner. In addition to mascara, HCP and Geka also provide applicators for lip products. Grande Cosmetics recently launched its latest lip formulation meant to soothe irritated skin while enhancing collagen and providing a plumping effect. Its unique cushion applicator easily wipes clean, feels smooth on the lips and layers easily with other lip products. A tingling sensation occurs upon application—“to let you know GrandeLIPS is working its magic.” Click the bottom of the GrandeLIPS bottle to fill the applicator with product, then apply. For maximum results, use twice daily for 30 days. The cosmetic sponge category continues to grow at a rapid pace as consumers look for various sizes, shapes, and technologies to allow for precise, flawless application. For more than 80 years, Taiki has been developing unique cosmetic sponge technologies and improving manufacturing methods to allow for greater efficiencies, according to Siti Khalid, director of product development. Taiki’s Beauty Sponge is made from a foaming process that creates more consistency and provides a soft feel that doesn’t pull on the skin. It also offers smaller, more controlled pore size for a streak-free application and an even finish. 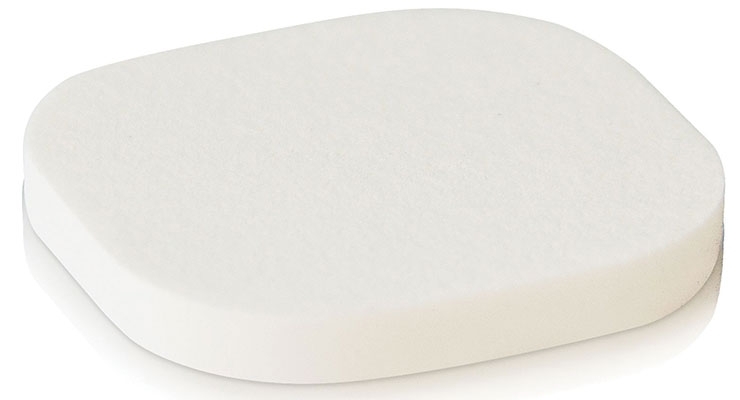 “This latest sponge innovation provides premium performance at competitive pricing,” says Khalid. Qosmedix has developed a collection of multi-purpose silicone applicators that are easy to clean and perfect for applying liquid makeup, lotions, creams and facial masks, according to Sternschein. The collection includes a Curved (Part # 30358), Angled (Part # 30359) or Oval (Part # 30364) shape—designed with a pink applicator, black polypropylene handle and shiny aluminum ferrule. The curved and angled shapes can be used as a guide for applying eyeliner or as an eyelid shield when applying false lashes or mascara. 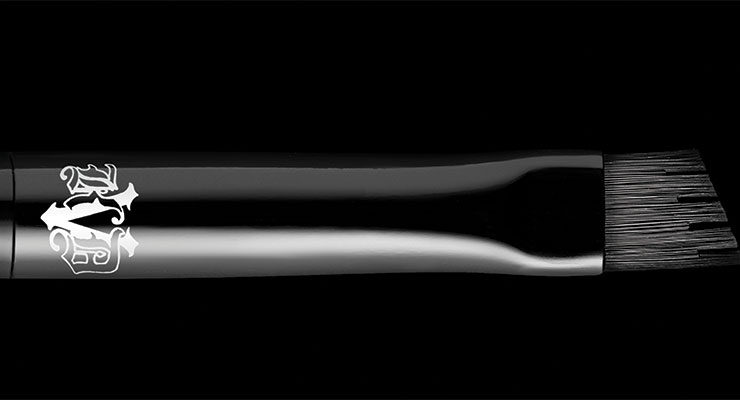 Also available is the Oval Multi-Purpose Silicone Applicator with a frosted applicator, wood handle and shiny black ferrule (Part # 30365). Sternschein says private label options and further customization of these products is available upon request. 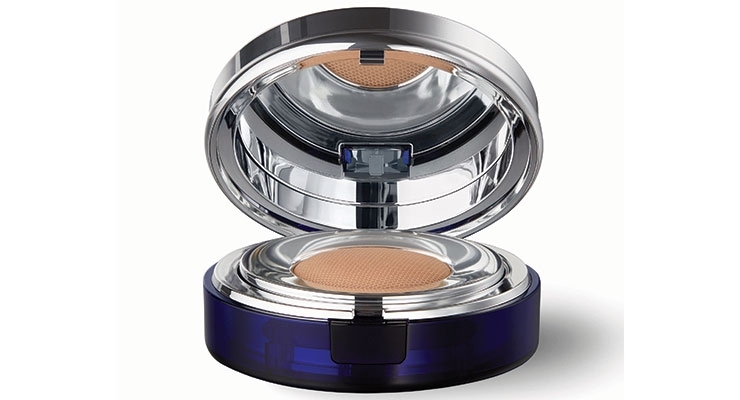 Cushion compacts have been in furious development since the launch of Amorepacific’s revolutionary impact on the foundation market—and they continue to evolve. Martin says POREX works with brands to help innovate their products, including designing applicators and reservoirs to function together. 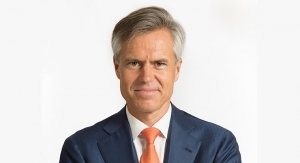 “In the past,” he explains, “customers had to purchase applicators and reservoirs separately, but with the acquisition of Porous Technologies, we can provide system solutions that enhance the consumer experience and provide greater efficiencies.” For example, enabling greater consistency of product delivery, extracting the maximum amount of product of formula, and giving consumers more control and less mess. 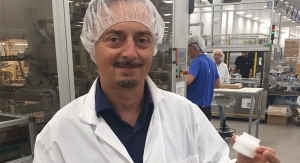 As an example, POREX’s Nubiform flow-through technology “enables our customers to design unique 3-dimensional applicator shapes that allow formula to come to the surface more evenly, and with greater consistency,” says Martin. Metal applicator tips with their cooling (and/or heating) qualities have changed the face of skin care, with their added benefits of de-puffing and smooth finessing. 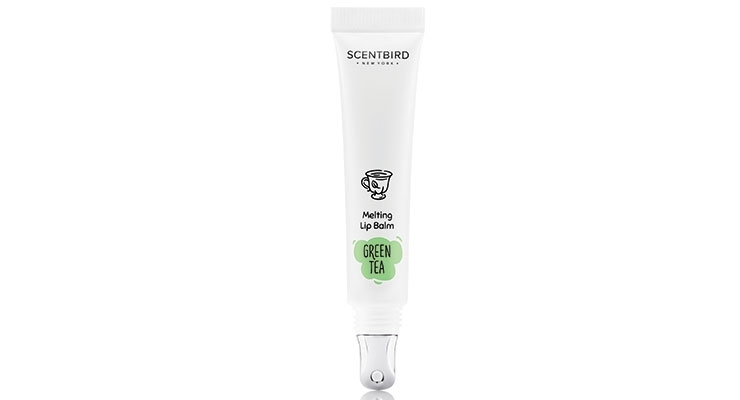 Digital-subscription fragrance e-tailer Scentbird recently expanded into cosmetics with four new lip balms that feature metal applicator tips in Zamac for a cooling effect and a luxe feel on lips. HCT Group, which has a patent on the metal tip, with the main benefit being its cooling technology, produced all the packaging. Each of Scentbird’s four lip balms is differentiated by a uniquely blended flavor, and features moisturizing cocoa and shea butters to form a protective layer to shield lips from environmental damages while also leaving them silky soft, with a cool touch—no matter what the temperature. Cat Kong, VP of brush sales, HCT Group, says, “While our Cooling Tip Technology applicators have always been in high-demand, we have been getting a lot of requests for skincare applicators and tools.” She explains that a lot of their customers are looking for applicators that target specific concerns such as sensitive skin, aging and acne. “We have also seen an increase in requests for applicators and tools that can help detoxify the skin and stop inflammation and bloating,” says Kong. In brush applicators specifically, Kong says people want to see body brushes that can help treat cellulite and provide all-over exfoliation. 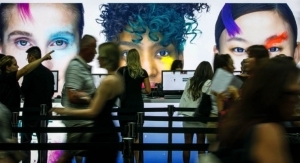 Some of HCT Group’s latest products will be revealed at Cosmoprof NA in Las Vegas in July. Kong says some of their focus in application will be on gemstone rollers and massage tools that help target some of these concerns. They will also be showcasing their G Collection brushes in HCT’s new Unreal Series. “This filament was developed as many brands are looking for a higher quality and more effective synthetic filament that actually works,” explains Kong. Known for their capabilities in metals, TNT Global Manufacturing has produced a tailor-made, premium and resistant spatula for Sisley. Made of stainless steel, the stamp of the spatula was successively manually polished, palladium electroplated, then PVD-treated, in a golden tint. Speaking of spatulas, but in this case, a plastic one, Kat Von D’S 24-Hour Super Brow Long-Wear Pomade is recommended for application with the new Kat Von D Beauty Pomade Brow Brush #70. 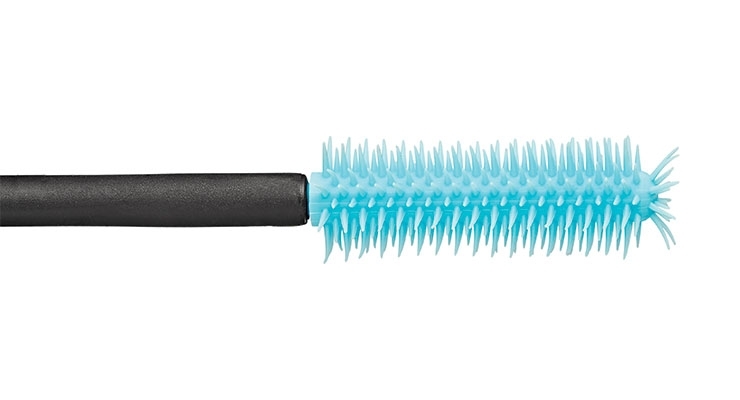 The brush’s firm, angled bristles are made from what the brand says are “the highest quality synthetic fibers” to deliver extreme control and effortless strokes. The tapered brush handle “inspired by a witch’s broomstick”—provides an ergonomic grip for ultimate control and also doubles as a mixing spatula to make creating color combinations a breeze. 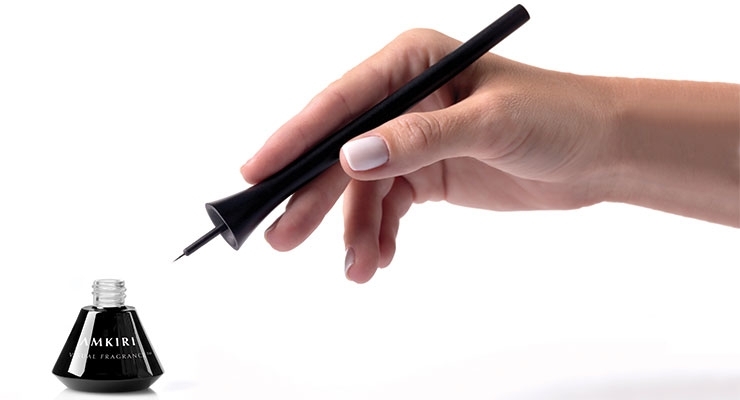 Fitting with the on-the-go trend, consumers have shown a growing affection for pens and pencils with unique application features. 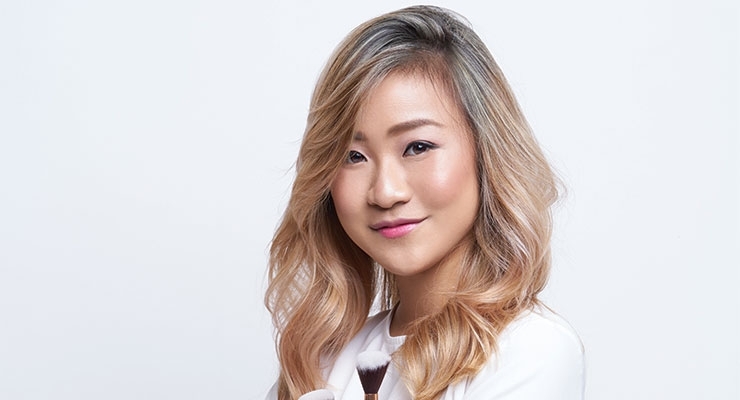 In addition, Elise Kim, account executive, Nest-Filler, tells Beauty Packaging: “We have noticed a trend in requests for ceramic tips, silicone tips, and targeted sponge tips and brush tips. 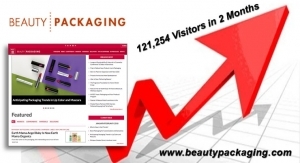 The various applicators seem to be very eye-catching and exactly what certain brands are looking for. 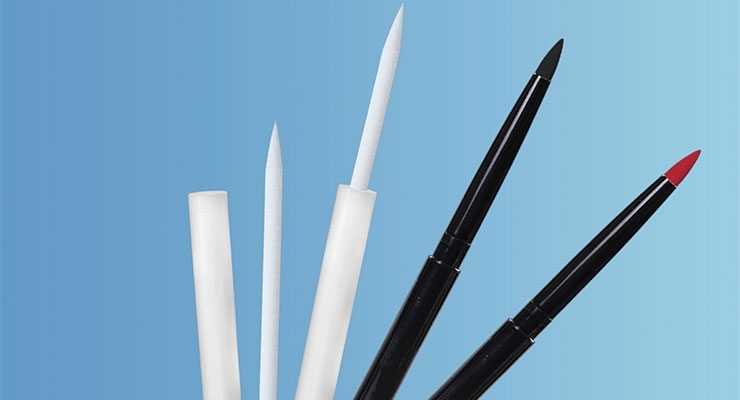 Our new applicators add a unique and innovative factor from previously displayed airless pens.” For brands looking for a cooling sensation for the under-eye, Nest-Filler can recommend ceramic tips or stainless-steel tips. For brands looking to package foundation and concealers, they can suggest their oval brush tip, paddle brush tip, flared brush tip, sponge tip and silicone tip. For brands looking to package haircare, they offer their comb tip and various brush tips. Nest-Filler has taken the tip format a step further with their brand-new rotary airless components—rotary airless and click pens with interchangeable applicators. Kim says, “The combination of various capacities and specific applicators will work to better accommodate products specific to a targeted consumer’s need.” The rotary airless pens are available in 5-, 10-, 20- and 30ml. The click airless pens are available in 2.5-, 4-, 6.8- and 18ml. One-swipe application and multiple tips are news at makeup pen and pen specialist Faber-Castell. 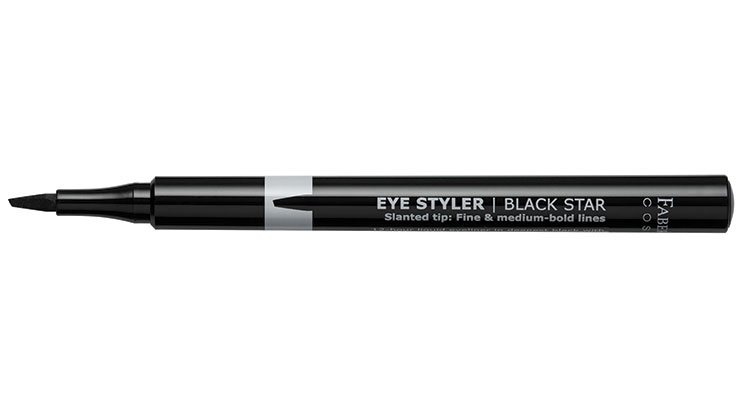 The supplier recently launched their liquid liner Styler, which provides a deep, saturated ink flow in one stroke with four different felt tips. Different formulas are available for various applications (Eyes, Brows, Lips). Styler is available with a matte or shiny finish. The metallic liquid eyeliner features a smooth brush that glides on perfectly, creating bold, crease-proof lines in a fluid motion. 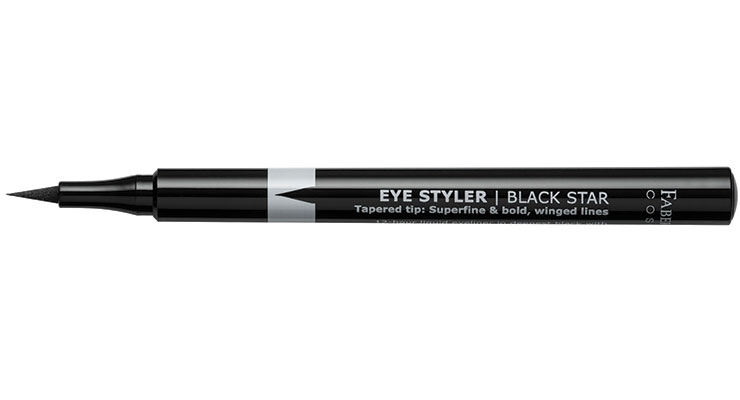 The brow styler shapes, fills and refines thanks to a slanted tip for fine and medium-bold lines. 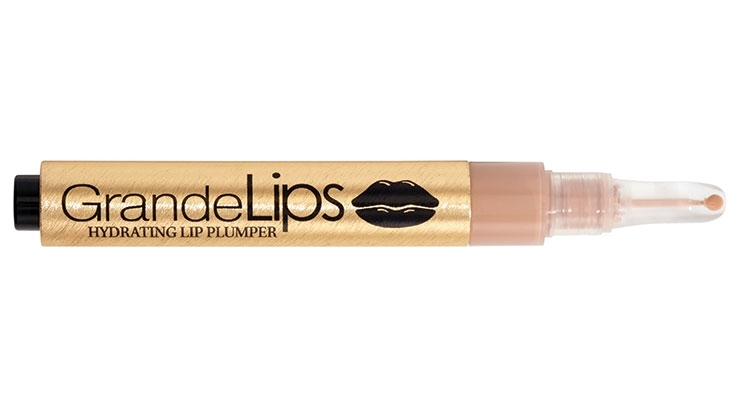 The non-transferable lip styler promises up to a 10-hours’ staining effect that stays perfectly in shape. The brush tip is ideal for lining and filling in the lips. As social media evolves and users continue to highlight their applicators, beauty innovators aim to find a white space. Amkiri seems to be such a brand. The startup has launched what it has trademarked the world’s first-ever “visual fragrance,” with a product line that combines makeup, a temporary tattoo, and fragrance. The company’s patented technology is comprised of scented crème-like ‘ink’ which is applied to the skin via proprietarily developed beauty applicators—including a Brush Wand, “FreeHand” Wand, stencils, and stamps—that allow the user to apply and create body art infused with fragrance. The innovative technology allows any fragrance to be carried in liquid “ink” in any color, and worn visually on the skin. 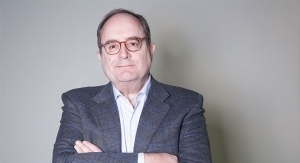 Amkiri was co-founded in 2014 by Shoval Shavit, a designer and entrepreneur; David Chissick, a businessman and “innovation entrepreneur;” and Aliza Shavit, a chemistry expert. Amkiri will no doubt make its visual presence known on the Internet. “Yes!” she responded. “I’d love a self-cleaning blush or bronzer brush. I like the idea of clean, fresh bristles with every application. But who has time to wash their makeup brush every day? All About Face Beautyblender is a new makeup tool kit from Rea-Deeming Beauty Inc., featuring the company’s high-quality makeup application and removal sponges. 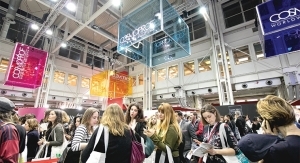 While many makeup sponges in the cosmetic marketplace are packaged in “throwaway” packaging, in contrast, Rea-Deeming Beauty Inc, founded by professional makeup artist Rea Ann Silva, has packaged its precision cosmetic tools in a unique bright pink crescent-shaped carton that projects a youthful brand image designed to capture the attention of Millennial and Gen-Z shoppers. The tear-shaped sponges, made of a proprietary open-cell construction, keep makeup on the surface of the sponge, simplifying application and allowing the sponge to be easily cleaned and reused. They are also easy to hold and work with, providing a broad, round base for applying makeup to wide areas, and a pointed end for sharper definition. New York designer Barnabas Kegye designed the eye-catching All About Face package for Rea-Deeming Beauty Inc. It provides a dramatic presentation of a selection of the sponges and also serves as a storage case for them. 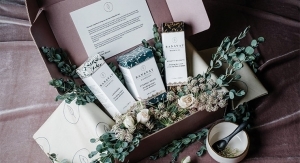 The package integrates the brilliant color of the printed carton with the visibility offered by the package’s clear PVC inner carton and tray, which extend beyond the carton to show off the sponges both online and in-store. Transparent Container Company manufactured both the outer paperboard printed folding carton and the internal parts—the thermoformed PVC tray and folding carton. The finished package is based on Kegye’s original design, but is technically refined to facilitate efficient manufacturing of the package. The folding carton slides into the open-ended paperboard case leaving the area containing the sponges and cleanser extending beyond the case, where shoppers can view them. The package can also serve as a storage and carrying case post-sale. “Transparent Container’s printing and custom thermoforming expertise were essential to turning this unique, dramatic package design into a finished, workable package,” says Jeff Miller of Consolidated Graphic Communications, Rea-Deeming Beauty’s print/package supplier and Transparent Container’s partner. What Criteria Do You Look for in an Applicator? 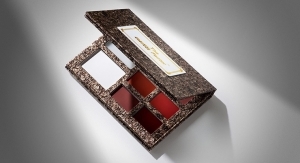 Beauty Packaging asks makeup artist Archangela Chelsea. Archangela Chelsea is currently the brand ambassador for global cosmetic line Lakme Cosmetics alongside “makeup artist to the stars,” Mario Dedivanovic. Her work has been featured in top publications around the world, and she has worked with some of the hottest celebrities in Hollywood. BP: What criteria do you look for in an applicator? AC: Great material of course! Also, you have to make sure that it actually helps to blend in the makeup during application and not hurting the clients when you’re using the applicator. 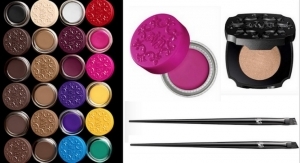 BP: How critical is the right applicator for a makeup artist? AC: It’s really important. I think that applicator/makeup tools are a makeup artist’s best friend. 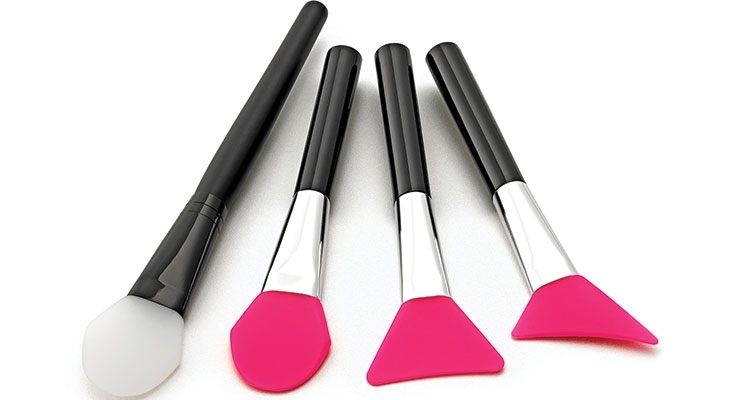 You can’t do great makeup without great applicators as they complement each other. BP: What cool applicators have you come across lately? AC: I think the silicone beauty blender is pretty cool even though I know the regular beauty blender still works the best. The cleaning tools for makeup brushes that spin are pretty cool too. I know they both are not the newest things, but I just kinda think that those two are pretty awesome and useful. BP: Are applicators being developed to be Instagram friendly? How? Why? AC: Of course. First of all, it’s so much easier to apply foundation with a sponge. For example, the beauty blender is developed to fulfill everyone’s needs. And yes, Instagram is taking over the world and that’s probably why.